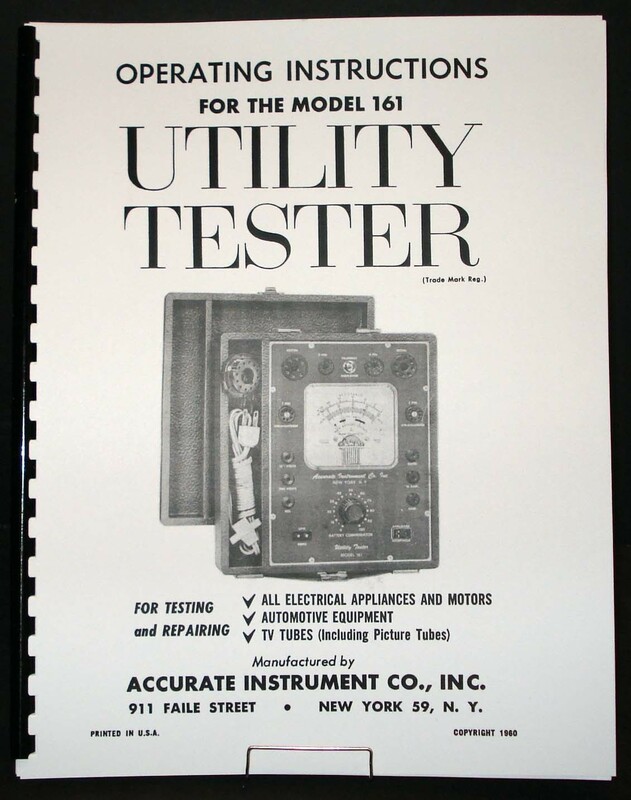 For sale is reprint of Accurate Instrument Model 161 Utility Tester Manual. Manual is 55 Pages long, dated July 1960. 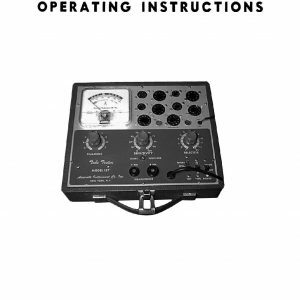 Manual includes Part List and Circuit Diagram.